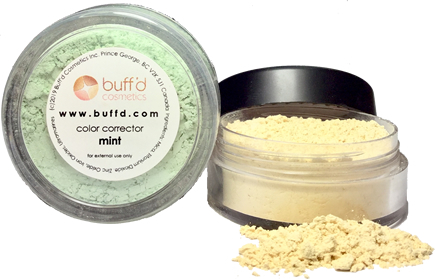 Formulated specifically for skin that needs a little extra help, Color Correctors help conceal discoloration from acne, scarring, rosacea and age spots. A light dusting applied under your foundation, these specifically-colored powders will brighten tired, irritated and sallow skin leaving a spectacularly flawless complexion. The Chubby Blender, Small Pointed Face, Small Rounded Face, Large Pointed Face, Large Rounded Face, Jumbo Flat Top, Jumbo Buffer and Kabuki Buffer brushes are perfect for applying these loose-mineral powders.